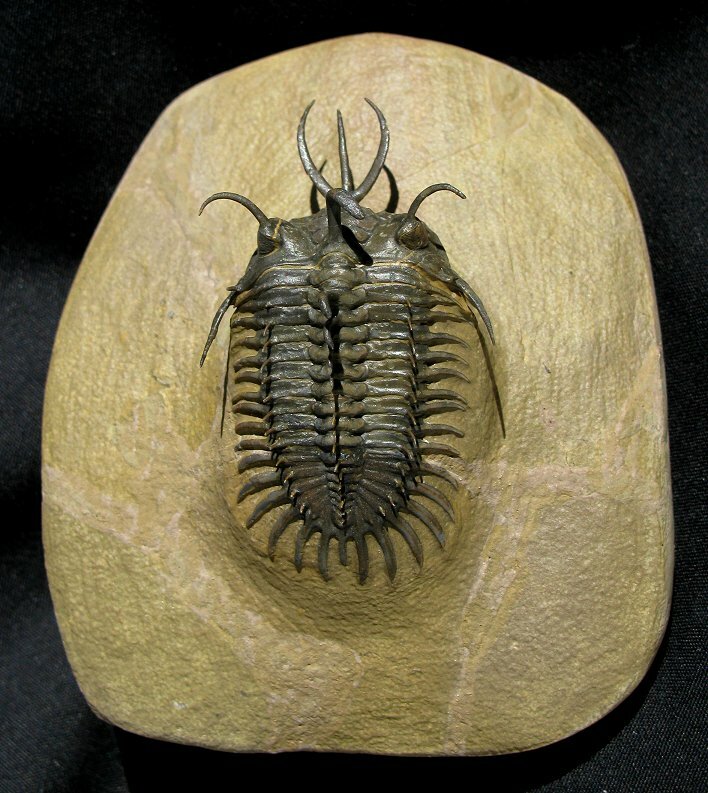 This is one of the most unusual types of trilobites we have ever had. It is an amazing Short-Nosed Trident (Type 2) trilobite from Morocco. 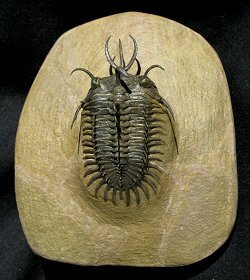 This trilobite looks like its Trident cousin, Walliserops trifurcatus, but has a much shorter, thinner snout. This specimen was painstakingly prepared under a microscope in the EXTINCTIONS Prep Lab here in Colorado. The trilobite represents the best features that trilobites have to offer - it has faceted compound eyes, DOZENS of free-standing vertical spines, and a beautifully articulated, free-standing Trident snout! The naturally colored trilobite is beautifully showcased on the sculpted block of matrix - what better display could you ask for in this type of trilobite? This is a beautifully prepared example of this rare, exotic Trident trilobite.